Laura was born and raised in New Jersey and has been trickling her way down south ever since she could. She graduated from Virginia Tech with a Bachelor degree in Communication and continued on to Jefferson College of Health Sciences for her Master degree in Occupational therapy. 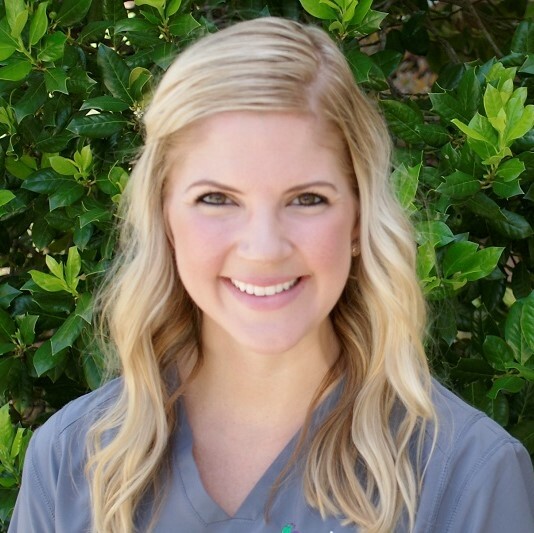 Laura stayed in Virginia to kick off her career in an outpatient clinic for 3 years where she began her journey specializing in feeding. Laura then worked at a children’s hospital, where she fell in love working with babies in the NICU. She is a trained provider in the SOS feeding approach and has further training in DIR/Floortime and NDT. Laura is a firm believer in that a day without laughter is a day wasted. She is grateful to smile and laugh each and every day with the children she works with. When she’s not treating, you will absolutely find her listening to country music (rare for a girl from New Jersey), playing around with her nephew, cheering on the Hokies, or traveling.